Friday Harbor Laboratories welcome students to conduct research here. There are financial aid opportunities encourage those who otherwise may not be able to visit FHL. For undergraduate students, the Blinks-REU-BEACON Summer Internship Program is available. This internship links undergraduate students with scientist-mentors as collaborators in marine science research projects. 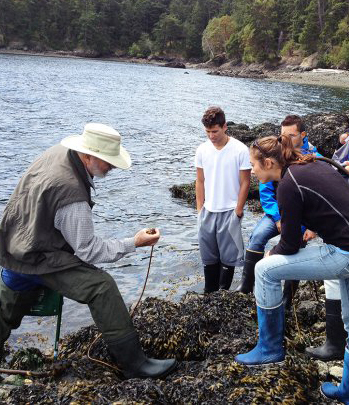 For graduate student, FHL Fellowship support is available for qualified applicants to conduct independent marine science research at UW-Friday Harbor Laboratories.